A recent edition of in the London-based Financial Times included a very thought-provoking article that is a must read for all women lawyers and those who lead them. The sources are both UK and US based and there is no single geographic focus. This is not just the “same old same old” you have read in the past. Yes, the statistics will be recognizable because the percentage of women equity partners in law firms has not changed in recent history. But there is much beyond those statistics for you to chew on and some new approaches that you may or may not agree with. 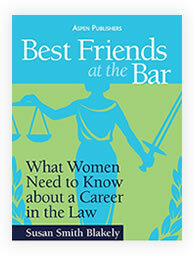 The article starts by taking on a giant, specifically the Center on the Legal Profession at Harvard Law School, for the way that it frames the answer to the question, “Can you be a mother and a senior law firm partner?” The Center’s emphasis on factors that are impossible to change is disputed on the basis that it fails to recognize the impact of unconscious bias and the effect of that bias on the upward mobility of women lawyers. The issue of quotas for women partners is also discussed in a very balanced way, giving equal time to the pros and cons of that approach. Although many women object to that kind of mandate and how it disadvantageously profiles them in the partnership, others argue that less radical approaches have proven unsuccessful. You will have to decide where you fall on that spectrum. 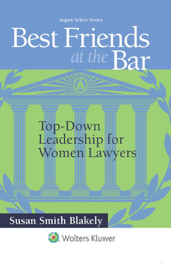 Also included are some practical steps that firms can take to work out the maternity leave issues with women lawyers, who demonstrate the kind of talent and leadership skills valuable at the management level, and efforts that firms can take to keep women on maternity leave functioning as part of the team during that period of time. The role of in-house general counsel and clients in reaching a more acceptable percentage of women at the top of law firms also was discussed. This quote got my attention, “Those who until now have expected to be able to reach lawyers at any time of day or night need an understanding of what requests are urgent and what can wait until morning.” This alone evidenced a new world order! You also will see some interesting comments on the position of salaried partners, the marginalization that often results, and the critical role of achieving diversity at the top. According to one source, “I’ve never heard of a balanced or diverse partnership underperforming.” Amen to that. Particularly interesting to me was the emphasis in the article that the issues addressed are not just all about women. It is also about the new generation of young lawyers (millennial lawyers and the generation of lawyers to follow), who have embraced work-life balance issues that require a new approach. 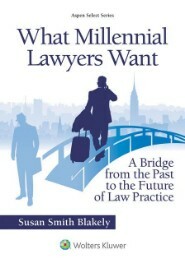 With the additional emphasis in my work on issues related to millennial lawyers, I applaud the recognition of the broader view of what is needed to reform our profession. I recommend this article for you and for you to share with the leaders in your firm. The train is leaving the station, and we all need to get on board. Former Senator Birch Bayh is someone I want you to know about. He died last month at the age of 91. 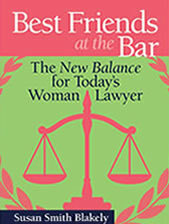 If you are a young woman lawyer, chances are that the name does not ring a bell. But, ring the bell for girls and women is exactly what the U. S. Senator from Indiana did when he championed passage of the federal law banning discrimination against women and girls in college admissions and sports. Bayh was the lead sponsor of the landmark 1972 law, which is most often referred to as Title IX. The law’s passage came at a time when women earned fewer than 10 percent of all medical and law degrees and fewer than 300,000 high school girls—only 1 in 27—played sports. Today, thanks to Birch Bayh and other lawmakers, women make up more than half of those receiving bachelor and graduate degrees, including law degrees, and one out of every two high school girls plays sports today. For some perspective, many of the articles lauding the contributions of Senator Bayh at the time of his death reflected that, in the 1970’s, a handful of states still restricted the way that high school girls could participate in the sport of basketball. Instead of playing the game the way it is played today, with five players on each team and all playing full court, girls basketball evolved with six-player teams and the restriction that the three players on each team in the forward positions could not cross over the half-court line. And the three guards on each team were not allowed to shoot. If you are thinking that the game was not much fun to play, you would be right. I was one of those middle school forwards standing at the half court line, and I know. I could shoot around as an equal with the boys in my neighborhood, but when I got to school the rules changed. Basketball played that way was not much fun to watch either. Try to imagine March Madness with that set up! Thanks to Senator Birch Bayh, young women today have a much improved chance of being admitted to law school — and have a lot more fun playing basketball! To read more about Senator Birch Bayh and Title IX, read the obituary.